Skiing and snowboarding the whole year round, with 365 days of snow – you can only find this in Zermatt. As the highest altitude, largest and most efficiently developed snow sport location in the Alps, Zermatt offers an absolute snow guarantee. In winter, 350 km of piste attracts skiers of all levels. Unlimited skiing and snowboarding between Switzerland and Italy – no other destination can offer this. And in the summer? 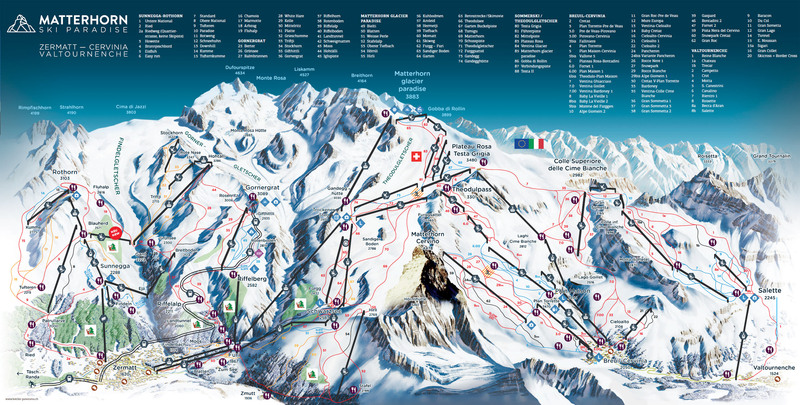 Enjoy the 20 km of pistes on the Zermatt Theodul Glacier. Carve and relax alongside national ski teams from the whole of Europe. With the Matterhorn always in sight.